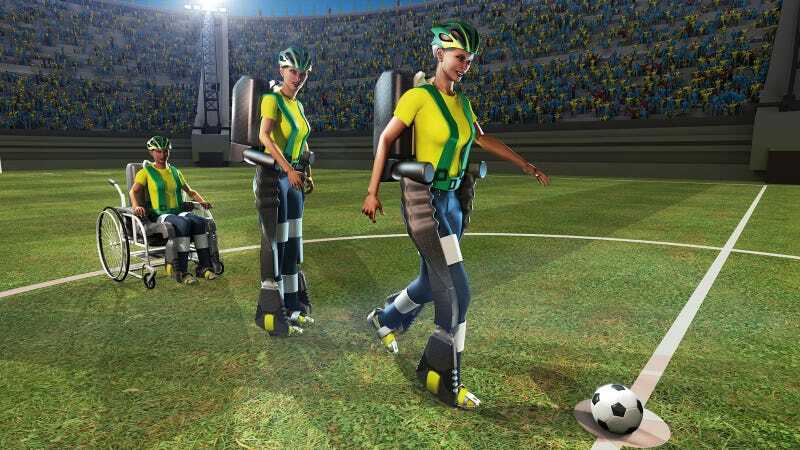 A small part of a large-scale international collaborative project called Walk Again, the exoskeleton technology in question supports the lower body, using brain activity to trigger movements in the suit. Brain waves are detected using electrodes on the scalp, beamed wirelessly to the exoskeleton, and processed into commands which produce movement. That motion, however, will be complemented by feedback, to make the experience feel more natural. That means the suit will include sensors to monitor touch, temperature and forces on the suit, which will be fed back to the user via visual displays and vibrating motors. In theory, those same signals could be transmitted directly into the brain to allow the users to experience the suit as if it were part of them. But, one step at a time, right?